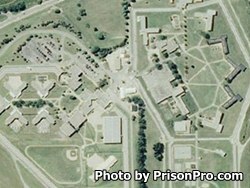 Ionia Correctional Facility is mixed custody prison located in Michigan that houses level II and V adult males. The facility consists of five housing units that are level V and two housing units for level II inmates. Two of the level V units are administrative segregation. Offenders are secured by two twelve foot high fences covered in razor wire. One of the fences is electrified. Armed guard towers, surveillance cameras and armed patrols ensure no inmates leave the facility. In addition, all of the staff have personal alarm systems that immediately notify all staff members of any problems that arise. While incarcerated, inmates can earn a GED and take adult basic education classes. Mental health services are also available to inmates, as well as substance abuse treatment.